Tampa is home to many successful professional sports organizations, as well as many museums and historical destinations. The Tampa Bay area also includes the world-famous beaches of Clearwater and St. Petersburg. 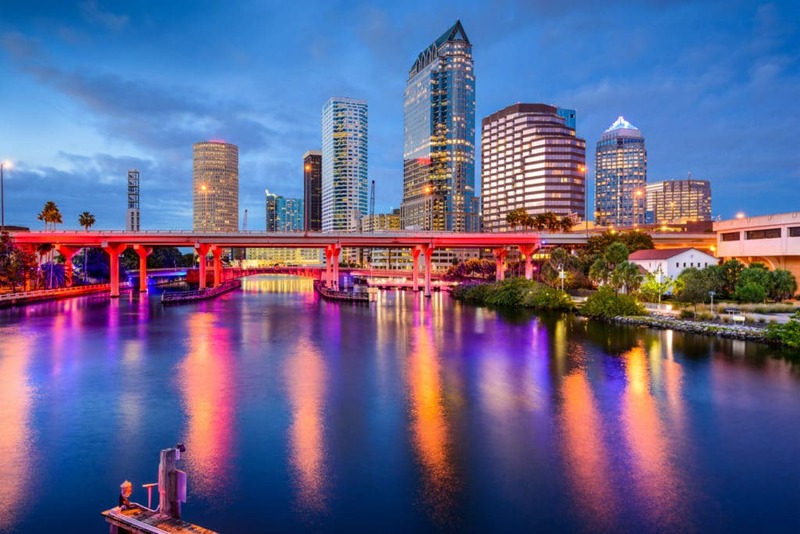 There’s something for everyone in the Tampa area, and if you are a medical marijuana patient, Tampa has even more to offer. Is Medical Marijuana Legal in Tampa? In 2016, Florida voters approved Amendment 2, which legalized medical marijuana in the state of Florida. Many Hillsborough County residents supported this cause, helping medical marijuana become legal in Tampa and the rest of the state. After this legislation went into effect, registered patients were able to purchase and use medical marijuana in Tampa. Although it is still restricted to medical use, recreational marijuana may be near thanks to support from up-and-coming politicians. The progressive values of Tampa Bay residents make the area an incredibly important region for the medical marijuana industry, according to Knox Medical spokesperson, Scott Klenet. As such, the Tampa area has been booming with medical cannabis activity. Local entrepreneurs in St. Petersburg are working on opening up the first Tampa Bay grow house for both hops and medical cannabis. Here, they’ll be able to fuel both craft-brewing and medical marijuana treatment for locals. If you’re looking for a sweet treat in the area, central-Florida based Heavenly Hash Creamery produces CBD-infused gourmet ice creams that can be found in many places throughout the Tampa Bay area. These products won’t get you high, but offer the therapeutic effects of CBD that many medical marijuana patients enjoy from their treatment. With the popularity of medical marijuana treatment in the Tampa Bay area, it may be easy to find a medical marijuana doctor nearby. However, only CannaMD provides the exceptional care and professional expertise that can help you get the most out of medical cannabis. We use research-backed treatments to help patients find relief from a variety of conditions. If we find that you qualify for treatment, we can provide the state-required recommendation that enables you to begin medical marijuana treatment. Tampa offers a vast number of medical marijuana dispensaries, so there is sure to be a convenient location near you. If you are purchasing medical marijuana products, you must visit a state-licensed treatment center. In addition to the conditions above, Florida medical marijuana doctors may also recommend medical marijuana for the treatment of other “diagnosable, debilitating conditions of like, kind, or class.” This can include conditions such as chronic nonmalignant pain, terminal conditions, and anxiety. For a full list of conditions that may qualify for medical marijuana treatment, please refer to: Qualifying Conditions. If you are located in the Tampa Bay area and are considering medical marijuana treatment, call CannaMD today at 1 (855) 420-9170 or fill out our FREE online application to find out if you qualify. At CannaMD, our qualified and compassionate staff is happy to provide you with all of the resources and expertise you need to benefit from medical cannabis!